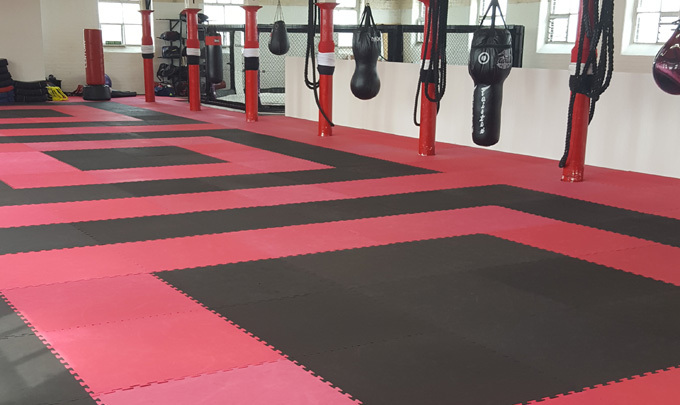 Our unique training centre provides top quality facilities and world class instruction of Kickboxing, MMA (Mixed Martial Arts), Sambo and BJJ (Brazilian Ju-Jitsu) to Bradford, Bingley and the surrounding areas in Yorkshire. 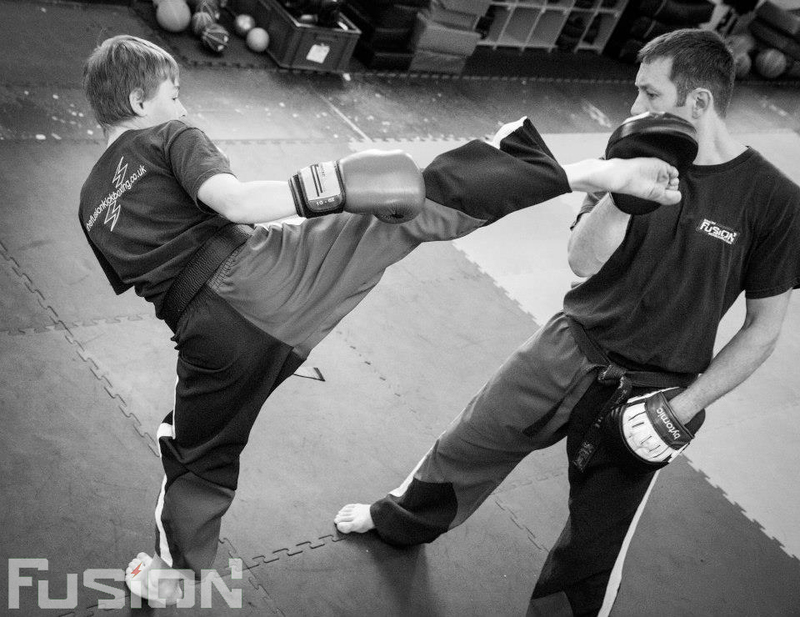 Classes run most days of the week and cater for kids and adults of all experience levels. No prior experience is needed nor are you expected to be fit before you join. Our experienced instructors are fully insured and pride themselves on being friendly, approachable and behaving in a professional manner. We believe that everyone should be able to leave our classes feeling better than when they arrived. This can be achieved in a number of ways. The atmosphere is positive and happy, especially for the children’s classes. We love to see them learn and develop during classes but most of all leave with a smile on their faces. Adults classes will obviously be a little more intense so leave your ego and life’s problems at the door. Expect to leave feeling alive! Discipline and respect are practised throughout all the sessions so expect to bow frequently and call the Black Belts ‘Sensei’ (teacher). 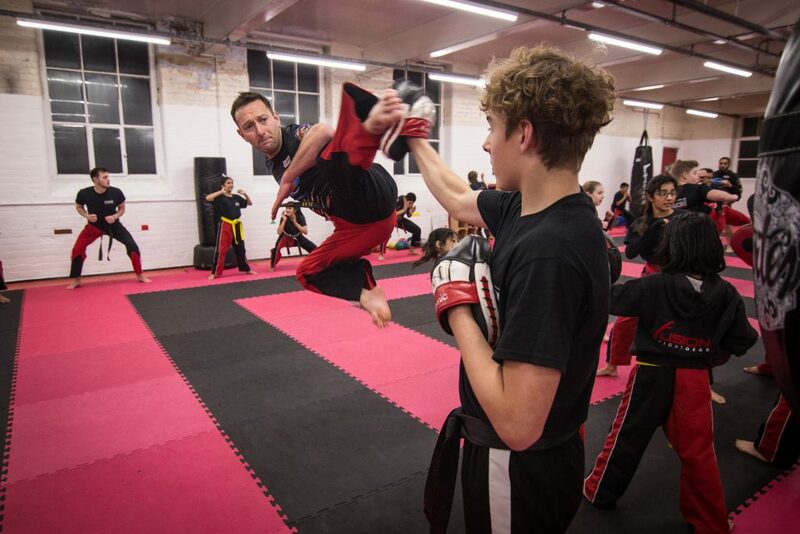 There are a number of reasons why a person might choose to take up a martial art; to keep fit, to compete, for grading’s or for self defence/anti bullying are to name but a few. Furthermore, it has been proven to help with weight loss, improving balance, flexibility and strength. As a result, you can expect your confidence, motivation and concentration to grow too. With so many styles to choose from, it’s no surprise that no two lessons are ever the same. Our syllabus has been designed to incorporate some of the most effective techniques taken from a variety of Martial Arts styles, Kickboxing being the foremost. With the addition of BJJ and Submission Grappling. Hence, this combination has helped develop students to become competent in the arenas and more importantly, confident on the streets. 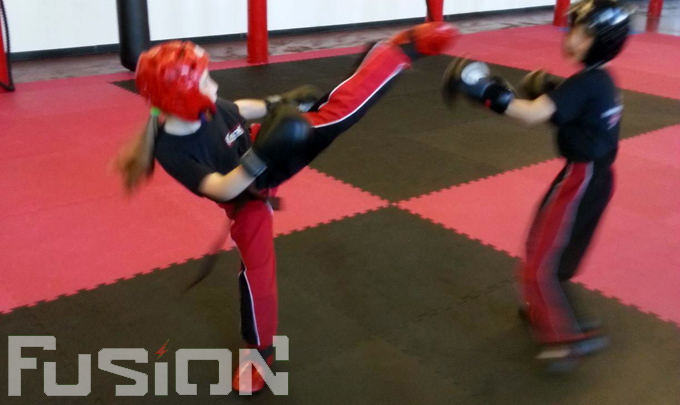 Partner drills and sparring – Putting all of the above into practice! Kickboxing is an explosive sport which involves two opponents attempting to score points using a variety of kicking and punching techniques on each other. There are many styles and each can be influenced by an number of factors. A competition sport and the main kickboxing style that we practice. Freestyle Kickboxing follows semi-contact and light contact rules with bouts taking place on a matted floor. Light contact rules will feature a continuous fight over a selected number of rounds. Semi-contact (points fighting) will require the fight to be paused after every successful technique and then restart once the fighters are back in positon. The winner will be declared in the same way for both styles that is by landing more successful, controlled techniques on your opponent throughout the rounds. A top fighter can expect to encounter multiple opponents in succession if he/she continues to win during a tournament. Using similar techniques as Freestyle Kickboxing without the restriction of power. Less padding is also worn by the fighters and bouts are now fought in a ring or cage. Bouts are limited to just one opponent however, the number of rounds will increase. The fight can be won by a knock out or from the judges score a the end of the fight. Kickboxing will most likely be used in Mixed Martial Arts too. Combined with takedowns and ground based styles such as Brazilian Ju-Jitsu. Mixed Martial Arts or MMA as it is more commonly known, has become the fastest growing sport in the world. Not to be confused with the label ‘UFC’ (Ultimate Fighting Championships) as this is the organisation responsible for broadcasting some of the main headline MMA fights. As the name suggests, Mixed Martial Arts combines a variety of techniques from a number of different styles. Kickboxing, K1 or Muay Thai may be used as a form of striking. 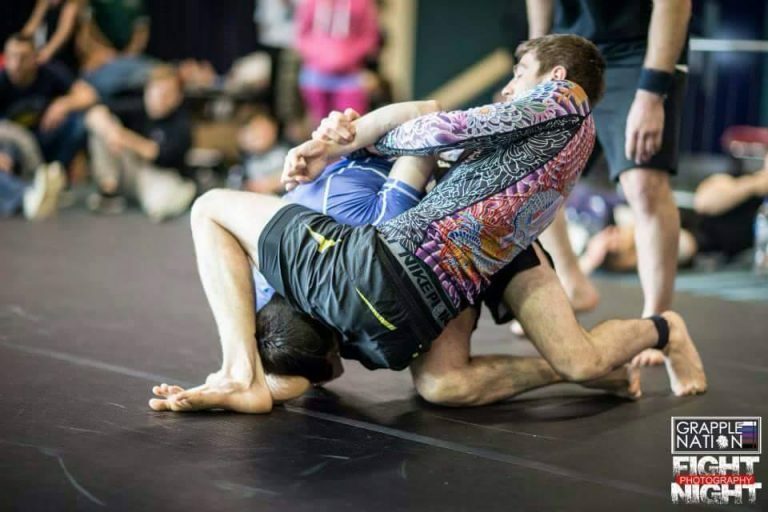 However, fighters can soon find themselves ‘taking down’ their opponent with Judo or wrestling techniques thus looking to progress on the ground and finally submit their opponent using Ju-Jitsu or BJJ (Brazilian Ju-Jitsu) submissions. Bouts are usually fought within a cage. Most fights will at some point end up on the ground. 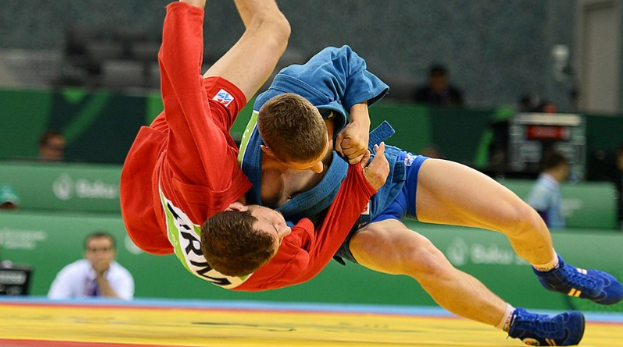 BJJ is a Martial Art which allows a potentially smaller, weaker participant to succeed against a larger, stronger one. This can be achieved in a variety of methods by using sweeps, submissions and chokes to name but a few. Training can involve fitness routines, drills with a partner and sparring sessions. Sambo is a Russian martial art and combat sport which originated in the Russian SFSR in Soviet Union in the early 1920s. Stylistically similar to catch wrestling and Judo, but with some differences in rules, protocol, and uniform. 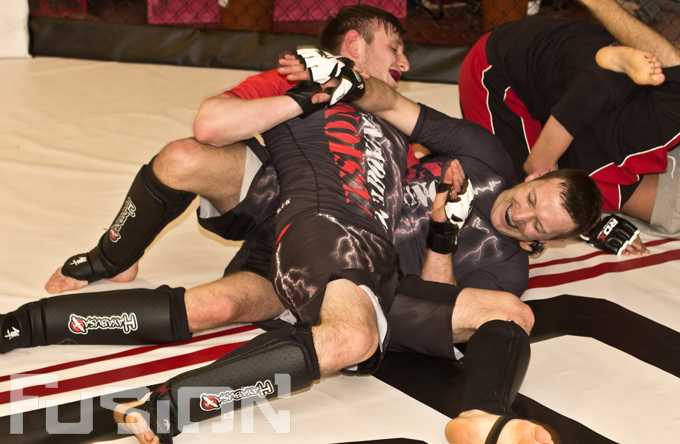 Combat allows various types of leg locks, whilst not allowing chokeholds. It also focuses on throwing, ground work and submissions. Resembles modern MMA, including forms of striking and grappling. Combat Sambo allows punches, kicks, elbows, knees, headbutts and groin strikes.